When I am a gazillionaire, I will have fresh flower arrangements on display throughout my house. At all times. Oh, yes I will. I will have a florist on staff. The florist will hang out with the housekeeper, the chef, and the laundress. It will be dreamy. Until then, I will have to arrange my flowers myself. For now, I'll content myself with flowers from the grocery store. Here's how I arrange those. I'll select a container for my flowers, like this pitcher that I spray-painted. In this photo, I'm holding my grocery-store flowers beside the pitcher. See the problem? Grocery-story flowers come with really, really long stems. And unless you have a really, really tall container, I suggest you cut them down to size. If you have a bunch of flowers of all the same type, it's a cinch to place them in the container after you've shortened the stems. I love the way this looks. 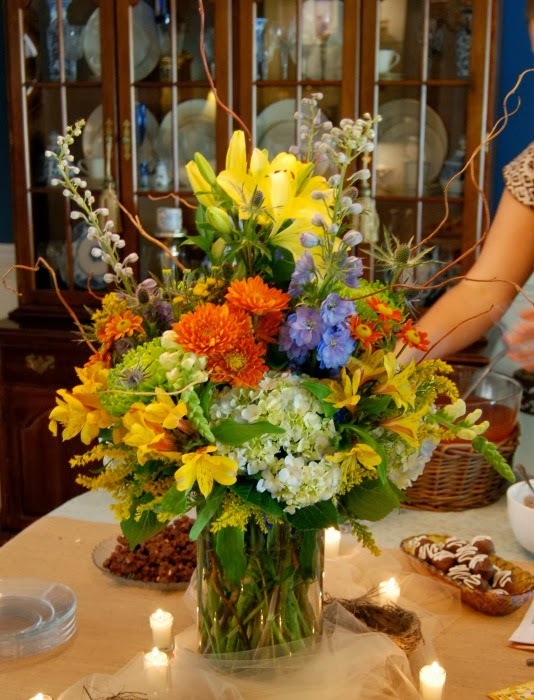 If you have a bunch of assorted flowers, separate the flowers into types, and place them in your container by types. 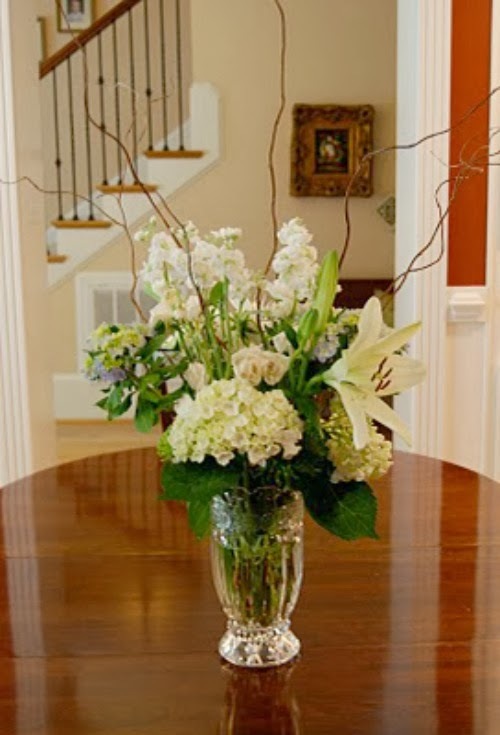 You'll often have one "star" flower and two or more of several filler flowers. I suggest placing the "star" in the center of your arrangement and placing the filler flowers all around. Then stick in your other flowers, which usually come in pairs. Place one stem at a time around the central flower, keeping things fairly symmetrical. If you've already put the filler flowers in place, the other flowers should stay in place pretty easily. And voila! You have a pretty arrangement, all for a few dollars and a few minutes of your time. 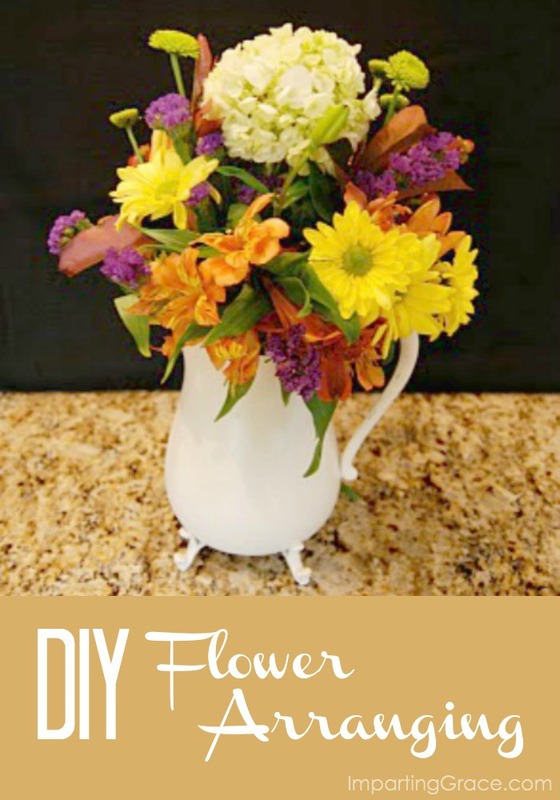 Click here to read a tip for making these flowers last a long time--much longer than by using the little packets of preservative that come with the flowers. How about you? Are you a flower fan? Beautiful grocery store flowers. I love fresh flowers, also and wish I could have them every day, every week. LOVE this!!! I am totally copying the link right now to feature on Friday. :) I am terrible at flower arranging, but I do want to learn how to do it. :) This was an excellent post for me. 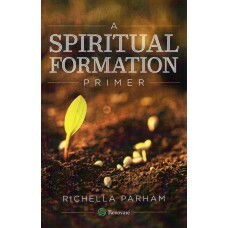 I liked how you used different photos as examples. Very nice job! Yes, I love arranging flowers. I actually posted about making my own arrangements just the other day. I think in another lifetime I'd like to be a florist. I find it calming and so rewarding to create beautiful displays with fresh flowers! Oh, and I love your pitcher as a vase! I'm going to do the same thing when I become a gazillionaire. My husband asked me just the other day when I'm going to make him rich. Oops! I was actually thinking of buying some fresh tulips, might have to put that on my grocery list today! Lovely flowers! What a great post! I'm bookmarking this for when our yard flowers start to bloom. Love the spray painted pitcher too. So pretty for flowers! Thank you for such a nice comment on my blog. It truly made my day! And, seriously, guys with the name Lee are the best! Beautiful...thanks for the lesson. I too - never cut my stems short enough. Love the flowers!! I esp. love the hydrangeas. Courtney my daughter is using blue hydrangeas at her wedding in June so I'm noticing them everywhere!! I think they'll be beautiful! i am a fan :) especially of those blue hydrangeas! oh i have always wanted blue hydrangeas! and they do look perfect in that little pitcher! ummm... when you get that florist and laundress... can i move in, too? You did a beautiful job arranging those flowers! I always buy my flowers at the grocery store. They have the best prices and every week they have some on clearance. I love arranging flowers and took a course in it. When I am a multi-millionaire, I will buy lots of flowers and arrange them myself. I love flowers. I love having freshly cut flowers in vases in my home! My hubby got me some gorgeous flowers for my birthday a couple of weeks ago. They were beautiful. All the flowers in your post are gorgeous! Beautiful! They are so professional looking. I love how flowers look in a pitcher. And hydrangeas are just the most beautiful to look at. I have a hydrangea bush that gives me an abundance of blue beauties every summer. Just this morning I was delighted to find green leaf buds popping out! I feel rather lucky as my mom (a trained florist) taught me flower arranging. I love simple arrangements. What a beautiful lesson! A little arranging can make a grocery store bouquet look beautiful. I adore hydrangeas. I had gorgeous bushes at our old house but I'm still nursing them along at our new home. I'm hopeful that they'll take off this summer. I love being able to clip off a few heads and have a gorgeous bouquet in no time. YES!! I love fresh flowers! I am to the point now in my life where I like to keep them potted in the kitchen as much as possible. I keep buying more whenever the current ones fade and whenever I find some for a GOOD price! Your arrangement looks simply beautiful. Thank you for sharing! I am a florist and I manage a local family owned supermarket floral dept. we are rated #9 in the FTD market of over 25,000 ftd florists. we carry the mixed bunches like you purchased. 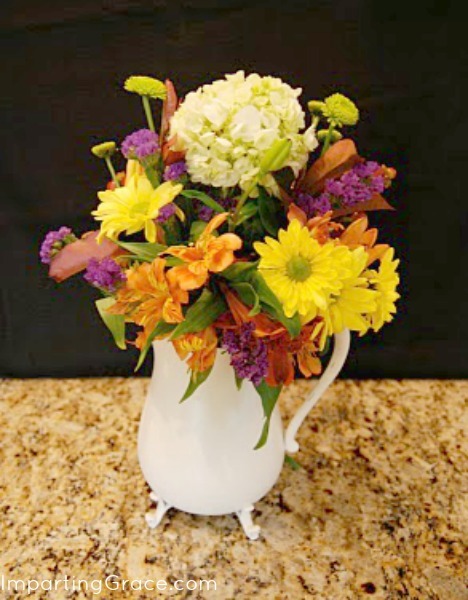 To simplify your arranging effort, these bunched come pre-arranged from the growers. Many of my customers ask me to do chop-n-drops in a vase for them. It is simply cut down to size and dropped in the water filled vase. You really need no design background to do that, everyone can do it. Go out & buy those grocery store florist bunches and enjoy.